Passer-bys will soon see a long time standing bank come to a crumbling fall next month and replaced by a modern day structure. A few minor details are left to be worked out, but soon after the IBC Bank will tear down their 30-plus-year-old building and begin to build another bank at the same location of 120 N. Division. During the construction, it will be business as usual. The company has already brought in a temporary building to conduct day-to-day business. The temporary home is located behind the main building in the parking lot. Associates inside the Texas-based bank tell Guthrie News Page that a demolition date has not been set, but expect the building walls to come falling down sometime in early November. They went on to say the layout of the building will have customers driving toward them as they approach the drive thru and that the new building will not be quite as big as the present structure. It is estimated to take three to five months to construct the new building. 6 Responses to "Bank plans to demolish building and rebuild"
waste of money if you ask me. why not just a remodel? 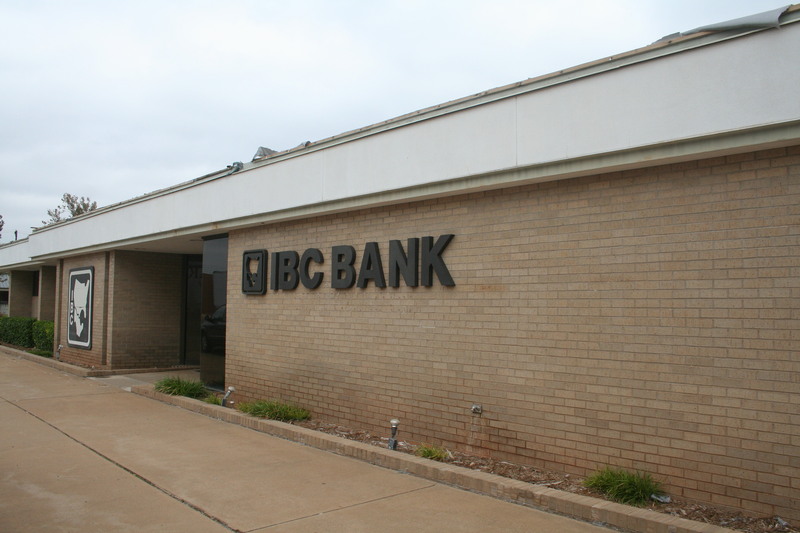 when ibc took over that bank it has never been the same. Wow, what a waste of money. Have you seen inside the bank? The ceiling is leaking and I agree a remodel would be easier but an updated building would be nicer. After all this is where I bank.